Does your kid gag or even throw up because they’re sensitive to smells, especially from food? It may seem strange, but there are some real reasons why and more importantly ways to help them! Through her gags, you hear her saying something about the broccoli. And, while you want her to stop gagging, you’re not even sure what to do, not that it matters that much because at this point she’s run out of the room because the smell of the broccoli was so horrific. While this isn’t the case for every picky eater child or toddler, it does happen quite a bit. And, if it’s happening in your home, it can get overwhelming and confusing real quick. 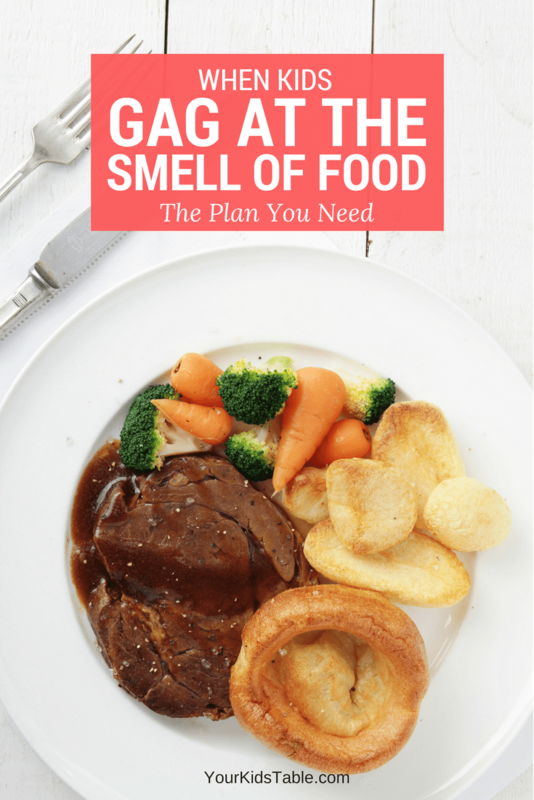 So let’s talk about it why kids do gag from the smell of some foods and what you can do to actually help your kid get over their sensitivity to smells, especially in the kitchen! What’s Going on, Why the Gagging? For the mommas out there that ever had a sensitivity to smell while pregnant, you may be able to relate – a little. After all, your hormones were out of control! But, here’s the thing, those hormones during pregnancy made your sense of smell much more sensitive, it was like you had the smelling capabilities of a dog. Our children’s sense of smell could be just as sensitive. The smell, or olfactory sense, is unique to every individual, and just like with each of our senses, we could have a very poor awareness of it or be hyper-aware (aka sensitive). It’s sort of like a spectrum, all of us falling at different points of sensitivity. I’m sure you also know some people that hardly smell anything. Either way what this all boils down to is your child’s unique sensory system (Head to “What is Sensory?” to learn more). For kids that’s are more sensitive to smells, what seems like a very mild smell to us, could, in fact, be quite strong for our child. And, our natural response to an absolutely repugnant smell is to gag. This is totally normal. Is Your Child Sensitive to Smells or is it About the Food? Enter the picky eater. Gagging at the smells of foods and being a picky eater, often an extreme picky eater at that, go hand in hand. If a child is so sensitive to smells that they’re occasionally or even frequently gagging at the smells of food, then they certainly aren’t going to eat those foods. And, for some kids, the extreme picky eating came first. Meaning that if a child is so selective about their foods that they just don’t interact with a lot of different foods, this in and of itself can cause a sensitivity to smells, simply because of a lack of exposure. And, for some other kids, it might not be as much about the smell as it’s more about the thought of eating the broccoli that’s making them gag. Head over to Sensory Issues with Food to learn more. In my OT and mom experience (oh yes, this has happened with two of my children at different points), the sensitivity to smells and picky eating are most often intertwined. Having a sensitivity to smells could also be a clue that there are some other sensory red flags in play. When one of our senses is hypersensitive, it can throw the others off too. And, it’s very easy to overlook those sensory red flags in other areas. Check out sensory red flags to read more. 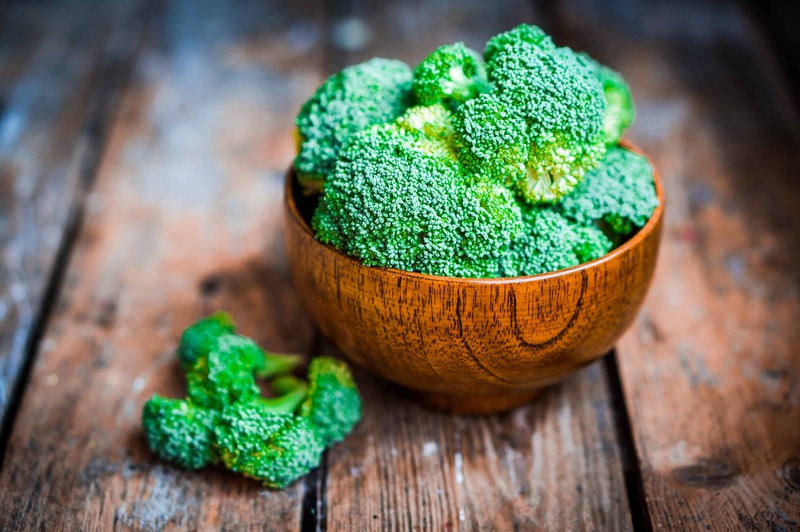 I’ve got two approaches for you, each with a few strategies, the first is most important and gives you some tools for dealing with sensitivity to food smells in your home. 1. Respect the sensitivity: Once you’re able to understand that your child isn’t just being a pain (even though it is one), it’s way easier to be sympathetic and patient. I’m not saying this is a perfect road, but the sensitivity IS real. Let them know that you’re on their team by respecting that they actually are sensitive, that doesn’t mean overly catering to them and never cooking broccoli or any of the offending foods again though. Don’t react: The gagging and throwing up can turn into an attention thing even if it didn’t start out that way and whether you’re rushing to their aid or yelling at them to stop, attention is attention. Move foods away, reasonably: Instead of reacting when they gag, simply ask or move the food away from where they’re sitting. That’s not always enough, but sometimes it helps. 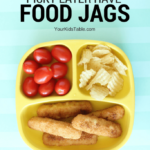 You can also try keeping food on the table or stove covered with a lid. If you need help keeping your child at the table, check out my top tips over at Keeping Your Child Seated for Meals. Give a warning: Before you even start cooking, let your child know that you are. Often, if they’re playing in another room, to them everything seems right with the world until they unexpectedly stumble into the kitchen and its filled with a noxious smell. The surprise can send them away gagging in a hurry. Use a prop: Allow them some time to come to the table with a handkerchief, a hand towel, or their shirt pulled up over their nose until they get used to it. I’d only use this for the most sensitive kids, and make sure to let them know that they’ll need to put it down when it’s time to eat. Cook food together: Food smells usually get more intense as they’re cooked, but when your kiddo is helping you prepare the foods, they have a chance to warm up to the smell slowly. It also gives you a chance to talk about smells and smell different items right out of the spice jars. This all helps improve sensitivity to smell. Do smell science experiments: Have your child smell different foods and give each one a score for how big of a smell it is. Be careful not to label smells good or bad though. Smell other things: Choose random objects or go out in nature and smell whatever you come across. Again, talking about and exploring different smells can help their brain process smells in general better! Click here if you need some inspiration for more smell activities. If you’d like to do a quick check on some other sensory red flags, ones you might be missing, grab my special free printable checklist. This isn’t any sort of diagnosis, just a way for you to check in on some of the quirks and maybe some confusing things your child does. Remember when you know why you can begin to help them! Get the Sensory Red Flags Checklist Here! 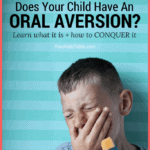 Does Your Child Have a Sensory Sensitivity? Might want to know where to find this one again. Go ahead and pin it to your parenting board! Hope you can talk with your doc and come up with a plan! I’m sure it’s not very comfortable for him at all! I have also searched on internet and found lot of paid online consultancy and meds are available online, few online store very popular like amazon, walmart, mygenericpharmacy etc. Hi, just to say excellent text and ideas for overcoming the problem! Our son can easily throw up at the smell of some food. Thanks Milana, yes, that throwing up can come along with this, and I love that you’ve figured out how to have him not look at other’s, that’s a great strategy. I’d ask you if he ever minds getting messy, touching different textures? If he does I’d actually do a period of using sensory bins, this can help improve sensory processing and actually desensitize away from the table. See this post. Yes, he does have some tactile and proprioceptive issues, I would say mild to moderate, however oral is his weakest link. I’m currently reading everything you have posted and cannot tell you how grateful I am for all this advice and exercises! It seems that you really understand SI and you know how to present it to us who are just parents 🙂 thank you thank you thank you! Yes, Milana, so the sensory bins will indirectly improve what he’s willing to eat because he’ll accept more textures to eat!